Distinctive, individual handmade eyewear. 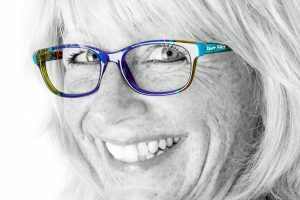 It’s the beautiful styling rather than the badges which make our designer glasses special. What does anybody look at when they first meet you? Of course, it’s your face and if you happen to be wearing glasses then they say a great deal about you. You’re special and we think your eyewear should be, too. Most brands of designer glasses that you can think of are designed by the same team. The glasses are mass produced with cost control in mind and then have a badge stuck on them to make them “designer.” And people buy them so that they have the same glasses as everybody else! We regularly visit trade shows, interview reps and look at new collections to find the latest styles and select ranges which meet our standards for individuality, style and quality. We stock labels such as Guess and Serge Blanco but we go much further with our handmade frame ranges which really make you stand out from the crowd. Glamour! This handmade range takes animal prints and colours and uses them to create intriguing frames with lots of personality. Highly individual and fantastic quality – La Matta Eyewear will really make you stand out from the crowd. It is difficult to find words to do these frames justice. The Far East is the inspiration for this range of handmade masterpieces produced in limited editions. 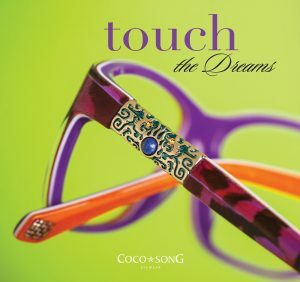 Exclusive acetates are matched with exquisite elements such as silk, dried flowers, ostrich feathers, semiprecious stones (granite, turquoise, eye of tiger, jade) with metal accents and enameling. For those who wish to look and feel unique. Drawing their inspiration from the beauty of nature SALT stands for Sea Air Land and their Timeless connection. They are designed in California using all of nature’s beautiful shapes, detail and colours. Superb frames for those who like simple things done well. Each frame is hand crafted in Japan by a third generation artisan using the finest materials. RonitFürst’s designs are anything but plain. The eccentric pieces scream ‘personality’ with their daring kaleidoscopic beauty. Each frame is hand painted. Perfect if you’re after eyewear that exudes character! 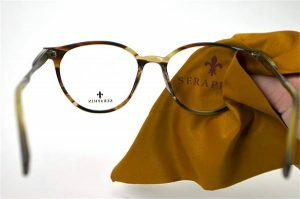 The Seraphin collection aims to update classic vintage styles producing luxury, contemporary handmade eyewear. You can tell the quality from the feel of the acetate, the quality of the joints and the outstanding comfort they provide. We have several ranges of more affordable gorgeous eyewear. Contemporary, stylish and infused with chic sophistication, the Cocoa Mint optical collection sets new standards. The choice of trend-led and beautifully-balanced styles showcase the best of British design. For more information on our practice or to book an appointment, give our friendly team a call on 01162 531750 (Leicester) or 01933 653226 (Irthlingborough).